Sister Maria Goretti Babatunde, SSMA was born and grew up in Ado Ekiti, Nigeria. After graduating from secondary school Sister Maria joined the Congregation of St. Michael the Archangel in 1986. Sister made her first profession of vows on July 6, 1989 and her final profession of vows on July 6, 1995. 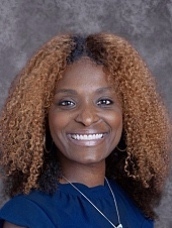 She earned a Bachelor of Arts in Psychology from Franciscan University, Steubenville, Ohio; an M.Ed in Counselor Education from the University of St. Thomas, Houston, Texas; a Master of Arts in teaching and a Master of Science in Educational Administration, both from National University of San Diego, California. Prior to joining St. Peter Claver, she was the principal of St. Peter Catholic School in Houston, Texas. 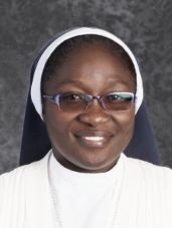 Sister Maria loves her work as Principal at St. Peter Claver Catholic School where she has served since 2008. She loves working with the children and faces every challenge with determination and complete trust in God. Sister Maria loves to read, listen to music, sing, and travel. 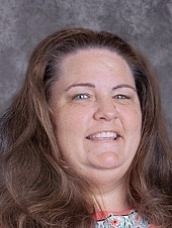 Mrs. Klotz has been teaching PreK-3 within the Diocese of Saint Petersburg for the past 15 years. It is her passion to help little minds expand and achieve the best outcome in this introduction to school. With her encouragement, her students not only learn the basic academics, they also learn how to be disciples of God. The 2018-2019 school year is the beginning of her second year at St. Peter Claver Catholic School. 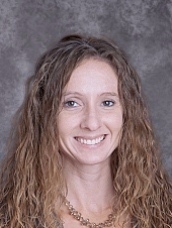 Mrs. Klotz has Bachelor of Science from Centenary College, has done graduate coursework at Marywood University and the University of South Florida and holds VPK Staff Credentials. She is a member of Saint Paul's Catholic Church in Carrollwood. Mrs. Fouch is a native of Argentina. She came to the United States in 2002 with a Degree in Law. Mrs. Fouch maintained her Florida Teacher Certification for the past 5 years and received her VPK staff credentials in 2010. She has worked as a EC assistant, Aftercare Director and EC 4 teacher. 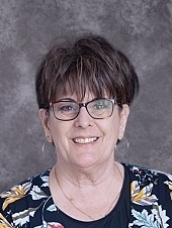 Mrs. Fouch is beginning her eighth year at St. Peter Claver Catholic School where she serves as the EC 4/VPK teacher and the Early Childhood Cluster Leader. 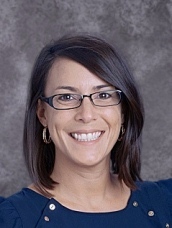 Mrs. Fouch was recognized in September of 2013 as a Teacher of the Year by the State of Florida. Johann DeMelas was born and raised in Philadelphia. She received a B.A. in Elementary Education from Holy Family University, Philadelphia, PA. She relocated to Florida in 1994 and has 2 sons and a daughter. 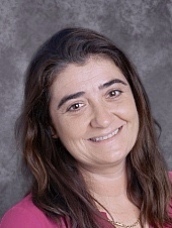 This is Ms. DeMelas’ 20th year at St. Peter Claver School. She initially came to St. Peter Claver to be placed on a substitute list. However she was offered a position when the school expanded to middle school and added a 6th grade class. 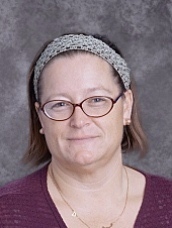 In addition to teaching 6th grade, she also taught 3rd, 4th, & 5th grades. Mrs. Rice-Spencer grew up in Tuscaloosa, Alabama with her twin sister who is also a teacher. Mrs. Rice-Spencer and her husband, James, moved to Florida in 2010. James has been serving in the US Air Force for the last twenty years. Mrs. Rice-Spencer and her husband have two girls: Morgan & Mackenzie. She graduated from USF with a Bachelor's degree in 2012 and is currently working towards her Masters. She is very excited to be joining the team at St. Peter Claver and is greatful to God for the opportunity. 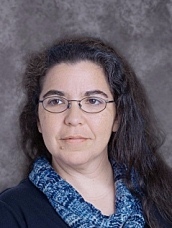 A native of Tampa, Florida, LoRandy earned a BA in Elementary Education from NOVA Southeastern University, MA in Instructional Leadership from Argosy University and recently completed her Doctorial Degree in Educational Leadership from Argosy University. 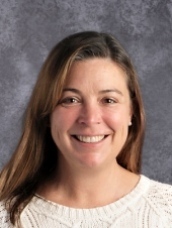 Her teaching career began with kindergarten and then continued to working with Exceptional Student Education (ESE) K-5 where she gained experience working with special needs students. 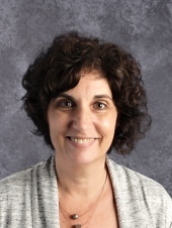 LoRandy is a passionate, committed and self-motivated educator who is dedicated to creating a stimulating and innovative learning environment. LoRandy was blessed with one son and is a member of St. John Cathedral Church in Tampa, Fl. Her philosophy is: All children can learn, and I can do all things through Jesus Christ who strengthens me. A native North Carolinian, Evelyn graduated from the University of North Carolina-Chapel. After earning her undergraduate degree, and while serving our country as an active duty Army Officer, she obtained a master’s Degree in Business Management before settling down to be a wife and mom. But that is not the end of the story; she always wanted to be a teacher. 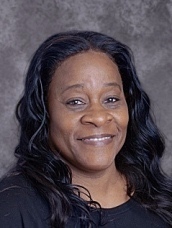 So, after her husband gently encouraged her to return to school to follow her dreams, she completed the EPI program at HCC and received her professional teacher certification (highly qualified). 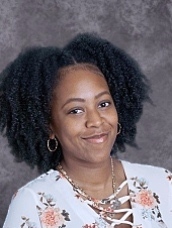 Continuing her professional development, Evelyn completed Orton-Gillingham Classroom Educator Training Course at the Schenck School (Atlanta, Ga). She enjoys serving God, traveling with her husband, volunteering, and reading.This is Evelyn’s second year at St. Peter Claver. Mr. Havelka is a graduate of St. Petersburg Catholic High School. After graduating from high school he went on to study at the University of South Florida where he received a Bachelor of Arts in Political Science. Mr. Havelka is beginning his sixth year at St. Peter Claver Catholic School where he has many different "hats." 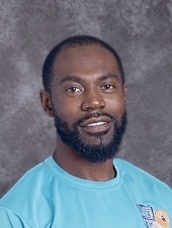 He currently serves as the Middle Grade Cluster Leader, the Middle Grade English Language Arts Teacher and the school's Instructional Coach. 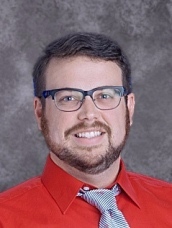 Mr. Havelka holds a Florida Professional Certification in Social Studies (6-12) & English (6-12), he is also certified in New Jersey for Social Studies (6-12). 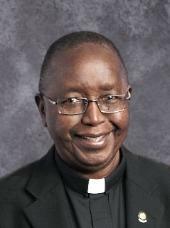 Throughout his time at St. Peter Claver, he has served as the homeroom teacher for 6th, 7th, & 8th grades, moderated NJHS, NEHS, Safety Patrol, & Men of Vision. 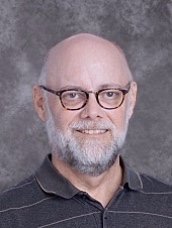 He has also served on the Step Up Parent Committee, Accreditation Committee, SPC Gala/Auction Committee, and coordinated the school's summer school program. 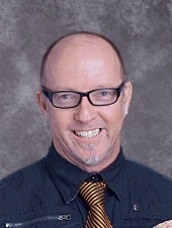 Mr. Havelka has been recognized as Teacher of the Year (2013) by the State of Florida. 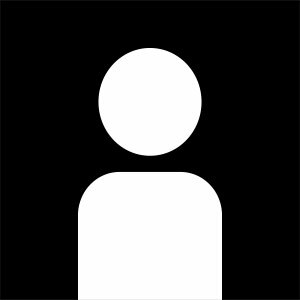 Anthony Fields was born in Birmingham, AL and in 1988 he and his parents relocated to Tampa, FL. 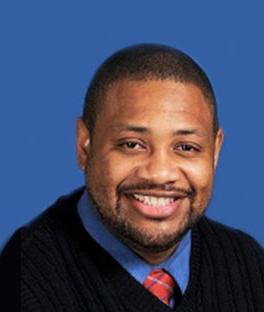 He attended schools in Hillsborough County including Woodbridge Elementary, Roland Middle School, Jefferson High School and he graduated from Blake High School in 2000. He received his Bachelor of Science Degree in Education from Alabama State University in Montgomery, AL (Go Hornets!). While in college and after college he had the opportunity to work for the Parks of Recreation for Hillsborough County. He also, had the opportunity to do internships and substitute for Hillsborough County Schools. He enjoys spending time with his only child, Aniyah Fields, and he also enjoys playing flag football. Siegfried Grace was born and raised in Tampa, FL. He attended local public schools in the area. After graduating from high school, Siegfried attended Florida International University (FIU) after earning a football scholarship. As a student athlete, Siegfried contributed to bringing FIU its first ever bowl victory and conference championship. In 2012 he earned his B.A in Criminal Justice. 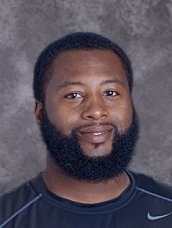 The 2015-2016 school year was Coach Grace's first year as the physical education teacher at St. Peter Claver. He hopes to educate students through athletic activities as well as teach them the importance of an education. Mary spent 29 years in the floral industry where she was the District Sales Manager/Marketing Director for the largest floral operation in the State of Wisconsin. She actively served on the Board of Directors for Wisconsin Upper Michigan Florist Association; Board of Directors for Professional Florists Association of Wisconsin; Board of Directors for FTD and Board of Directors for Teleflora. When she moved to Florida in 2005 she became involved in St. Peter Claver School by working on the fundraising gala and never left. Diamond Frierson is starting the third year that she has been with working with SPC students. She graduated from Blake High School and attended HCC to become an American Sign Language Interperter. After graduating High School, Diamond started working at Boys and Girls Club to give back to her community. She worked there for four years before becoming an official family member of the SPC family. Working with the VPK/EC 4 students, Diamond plans to teach sign language to provide an additional way for these young children to express their emotions. 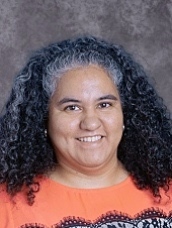 Mrs. Martinez is a cradle Catholic and very blessed to be working at St. Peter Claver Catholic School. Born and raised in Miami, Laura went to the University of Florida for her undergraduate degree in Computer Science and her graduate work in Elementary Education. She came to Tampa when she met her husband, Jesus, who got a job transfer from Chicago. She has lived in the Valrico area for the past 12 years and taught in the public school system for the same amount of time. She is happily married with 3 children, Isaac, Veronica and Jesse. She attends Nativity Catholic Church in Brandon where her close family is active in Faith Formation. Teaching religion in a Catholic school has been one of her lifelong dreams. A New York native, Janet holds a BS in Biology with a minor in Secondary Education from Stony Brook University. 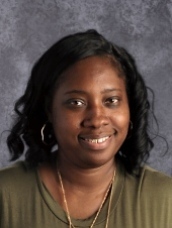 She earned an MS in Advanced Classroom Teaching in Biology from SUNY at Albany while teaching life and earth science to students in Grades 7 and 8 in the Albany public school system. A Tampa resident since 1975, she is married and has two grown sons, four granddaughters, one grandson. 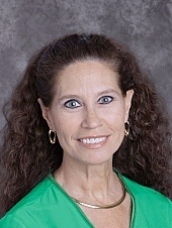 Janet began teaching Biology and Algebra 1 at Jesuit High School when she first arrived in Tampa. As the school grew, more sections of biology were needed and Janet’s teaching was limited to Biology and Biology Honors. In 1985 Janet was appointed Head of the Science Department, a position she held until she was named Assistant Principal for Academics in 1999. Among the greatest pleasures she experienced was teaching both of her sons and the children of previous students. She also had the privilege of working with many prior students. During her years at Jesuit, Janet was elected to the Faculty Council by her colleagues during those years she was eligible to be a member. She moderated the Tiger Annual, the school’s yearbook, which won state and national awards, for about a dozen years and oversaw the transition of that school publication from paper to computer submission. 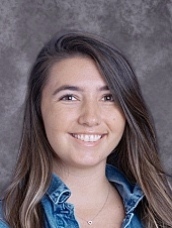 Soon after giving up the responsibility of producing the yearbook, Jesuit’s administration asked her to redesign the summer remedial reading class for incoming freshman. The course she designed, with help from local reading instructors, taught reading across the content areas and also instructed students in study skills. The latter came from her own experiences while teaching Jesuit’s students. 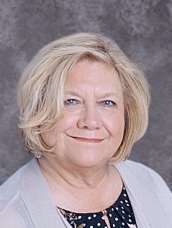 Janet’s major contribution as Assistant Principal was digitizing Jesuit’s academic records and moving the school to online academic and other school related communications. It was during her tenure that the school first used a Student Information System. 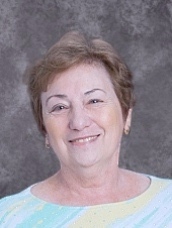 Janet retired from Jesuit in 2012 after 37 years. 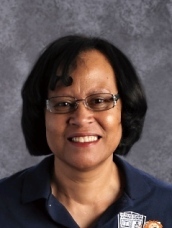 Janet is delighted to work with the students and faculty at St. Peter Claver. She finds the St. Peter Claver students very open to learning and has seen incredible growth both in individuals and the overall school. She credits a very determined principal and dedicated faculty and staff for the great amount of improvement shown and looks forward to seeing more amazing changes over time.